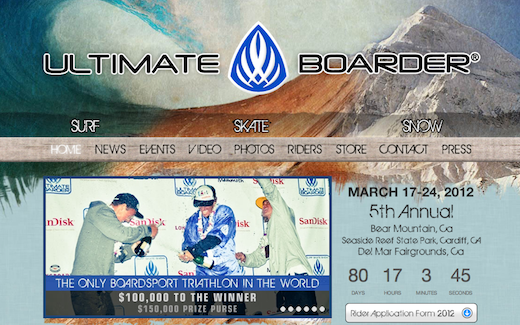 We just launched a SICK new website for Ultimate Boarder (the only boardsport triathlon in the world). The contest is going to be better than ever this year with $100,000 going to the winner and a $150,000 prize purse. Check it out!